Board game to practise time expressions as well as prepositions of time. Students talk in pairs about the topics on the sheet. There are two "Start" squares. Each student places their counter on their "Start" square. Then they move forward by one square at a time and talk about the topic using the appropriate time expressions. The above downloadable handout is intended for adults at Pre-intermediate (A2) and Intermediate (B1) level. 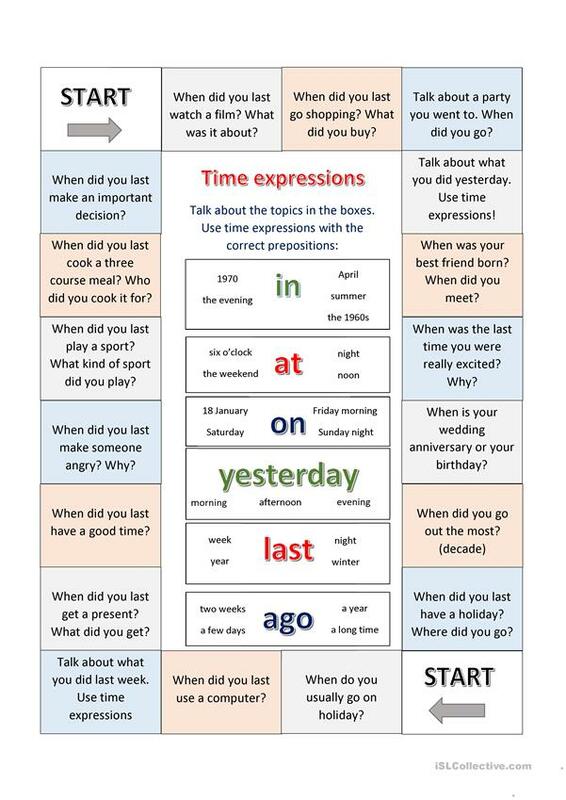 It is a useful material for practising Prepositions of time in English, and is excellent for strengthening your students' Speaking skills.